Past, Present, Future is a book that enables the reader to almost see, feel, and hear what happened to the author from an early age onward to his becoming something he thought was impossible. The pages turn rapidly amid the constant excitement and suspense. The prose is funny, yet some parts are graphic and disturbing to the imagination. The book advances without boundaries, using its unique voice and lexicon to enchant the reader, according to the author, “As if it were someone talking to you from another room.” There’s pure excitement to be found throughout. It’s a book that’s suspenseful, adventurous, shocking, and eye opening to say the least. 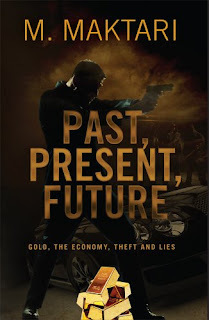 Past, Present, Future is a seriously gritty, gripping, and epic non-fiction biography based on true events. The story details the life of a man who went from being homeless to the world’s preeminent rogue black market gold trader. Indeed, this is the tale of a man who suffers through horrendous abuse while growing up, enters a life of drugs and criminality, later lives on the streets hand-to-mouth, and eventually is incarcerated for many years. Yet he emerges from all of those horrendous ills to become the king of the black market gold industry before the age of thirty-five. 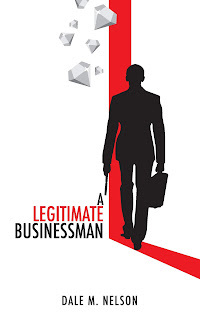 Back in the year 2008, one journalist compared him to the "Nicholas Cage character in the Hollywood blockbuster hit movie Lord of War”—but with gold rather than weaponry. As such, it should come as no surprise that Past, Present, Future is a book readers won’t be able to put down until the very last page, anxiously anticipating the sequel.